On November 28, 2018, a pre-dawn gun-battle in remote Kuthpora village in Budgam’s Chattergam area broke the restive calm of Kashmir valley. This was the thirteenth encounter between militants and the counter-insurgent forces since November 1. The previous 12 battles saw killing of 31 militants, mostly top commanders from Hizb-ul-Mujahideen. 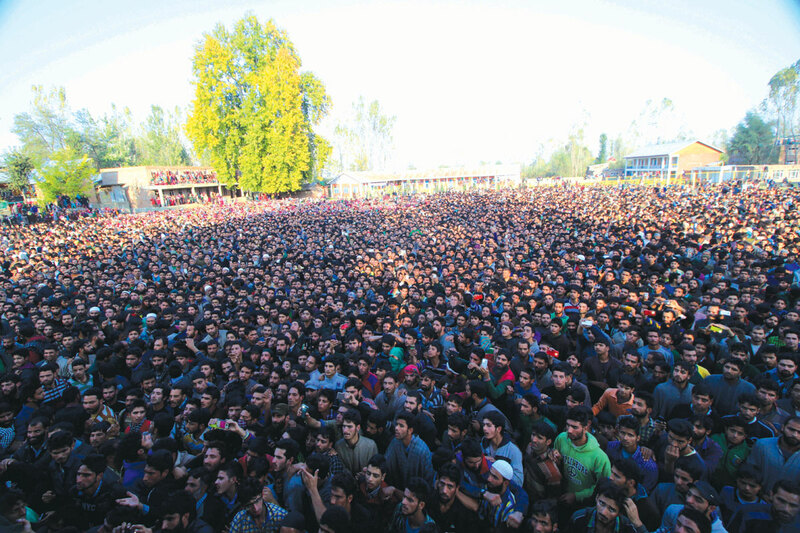 After the news of Kuthpora encounter spread, hundreds of boys from nearby villages – scattered over a vast and wasteful expanse – came out and started pelting stones to help trapped militants escape. They were outnumbered by CRPF and police personnel, using tear-smoke shells, pellets and even bullets. By 9 am, police confirmed killing of top Lashkar-e-Toiba commander Naveed Jatt alias Abu Hanzalla, who had escaped from Shri Maharaja Hari Singh (SMHS), hospital in Srinagar, on February 6, 2018, after killing two policemen. His dramatic escape made Jatt a household name in Kashmir, as there has been no other instance in post Burhan Wani militancy, where someone had escaped in such a fashion. Post- escape, the entire Kashmir was put on a red alert, with mobile check-points installed almost at every exit connecting Srinagar with south Kashmir. Seen as a major security breach, Jatt’s escape was sure to roll some heads in the police department. However, two days later (February 8), then Kashmir police chief Muneer Khan, paraded four men who helped Jatt escape. Interestingly, all four arrested were over ground workers (OGW) for Hizb in south Kashmir. The same evening, Jatt’s pictures surfaced on social media, where he was seen sitting next to top Hizb Commander like Riyaz Naikoo, Saddam Padder, and Sameer Tiger, at an undisclosed location in south. The pictures were posted to announce Jatt’s re-entry into militancy. But his re-entry into the militancy came after a break of almost four years (2014 and 2018); the years that saw decline of Jatt’s parent organization Lashkar, after its top commanders and cadre were killed in quick successions. As it turned out, while Jatt was in jail, Laskhar’s hold in south Kashmir started to wane, especially after the killing of its top strategists like Abu Qaism, Majid Zargar, Abu Dujana and Abu Ismail. All of them, barring Majid Zargar – who joined Lashkar in November 2013 and was killed in December 2016 – had closely worked with Jatt before his arrest in 2014. They were all active in Kulgam, Shopian and Pulwama belt. But after the arrest of Jatt on June 20, 2014, from his hideout in Shampora (Yaripora) in Kulgam, things started to change for Lashkar, especially in the south Kashmir. The day Jatt was arrested, a bullet ridden body of Lashkar-e-Toiba militant Zakir Syed Bhat, a resident of Shungus village, was recovered by police from open fields in Chinigam (Yaripora). Till now, nobody knows for sure if there was any connection between the two events. But it surely made Lashkar vulnerable in the south Kashmir. However, while Lashkar’s numbers dwindled in south Kashmir, Hizb was successful in regrouping itself under Burhan Wani’s command. This soon made handful of Lashkar operatives blur the organizational lines and utilize Hizb’s resources, as was case with Jatt’s escape. Interestingly, Jatt’s journey into the world of militancy, his arrest and then his bloody escape, all helped shape Kashmir’s new age militancy. According to police, Jatt, who joined Lashkar in 2011, infiltrated into Kashmir in 2012. Once in Kashmir, Jatt and his group spread between Kulgam, Shopian and Pulwama districts under the then Lashkar chief Abu Qasim. For next two years, Jatt and his group was part of a number of attacks in the area. In such a situation, surviving as a militant was next to impossible, as even the largest indigenous outfit Hizb-ul-Mujahideen, with about 150 recruits, were confined to jungles of Tral and Shopian only. Other militant outfits like Jaish-e-Mohammad and Al Badr, didn’t even exist beyond a few remote areas. In 2013, Muhammad Altaf Rather, a resident of remote Chak Badrinath (Chrar-e-Sharief), was the only Jaish-e-Mohammad (JeM) militant in entire central Kashmir. With no one around, Rather spent most of his time in Yarwan forests as the de-facto divisional commander of JeM. Within a year’s time Rather had managed to improve JeM’s tally to three. But all three were killed in April 2014, finishing JeM almost entirely in the area. With Hizb confined to forests, Lashkar almost finished in north and south, JeM struggling to find new recruits, militancy seemed almost over. But that was not the case. Two important events: one each in north and south was about to set the future course of militancy in Kashmir. On October 7, 2015, tech savvy sub inspector of police, Mohammad Altaf Dar aka Altaf Laptop, who was heading a Special Investigation Team (SIT), was killed in a brief shootout in Gund Dachin area of Bandipora district in north Kashmir. Hizb Commandar Burhan Wani’ s funeral. The news of Dar’s killing seemed routine until the details of the operation, the men behind it, and the cat-and-mouse chase between him and Laskhar’s commander Abu Qasim became public. As it turned out, Altaf Laptop was one of the key counter insurgents in Kashmir, who had helped kill a number of Lashkar and Hizb militants using his cyber snooping skills. His killing was termed as a major blow to counter insurgency grid by a number of senior police officers. As the details of Altaf Laptop’s role in counter insurgence started to come out, Lashkar saw an opportunity, and quickly came with a press note hailing its men who pulled the trigger to kill the “super cop”. Even United Jihad Council, the Muzaffarabad based militant alliance, in their statement said that they have decided to confer “bravery award” on the militants responsible for the killing of Dar. This helped Lashkar project its commander Abu Qasim as rare survivor, who outwitted Altaf Laptop. Interestingly, on the fateful day, Altaf had actually laid an ambush for Abu Qasim, but became a victim himself. The days following Altaf’s killing gave Abu Qaism window to shift a group of nine new recruits to south Kashmir from Bandipora forests, where they were hiding for over two months. This raised Lashkar’s strength in south to twelve, including Abu Qasim’s deputy Abu Dujana. That year (2015), in north Kashmir only, 54 Lashkar militants were killed by the army and SOG, including those killed at LoC while crossing over. With infiltration becoming next to impossible, Lashkar relied on those who had already crossed over to Kashmir. That is why Abu Qasim was keen to shift his men and base to south Kashmir – which was at that time considered safe compared to north. However, the fame came with a huge price for Abu Qasim, as killing him had become a matter of prestige for the counter-insurgent grid. This started hot pursuit of Abu Qasim, who was about to change the course of militancy in Kashmir after his death. On October 29, 2015, during a brief mid-night ambush, Lashkar chief Abu Qasim was killed in Khandaypora area of Kulgam district. Active in Kashmir since 2010, Abu Qasim carried a reward of Rs 20 lakh on his head. “His death has broken the back of militancy in Kashmir,” Syed Javaid Mujtaba Gillani, the then Inspector-General of Police told reporters jubilantly. However, it turned out that the IGP had failed to read the new writing on the wall, as three villages fought with each other, in order to give Abdul Rehman alias Abu Qasim, a resident of Multan in Pakistan, a decent burial. 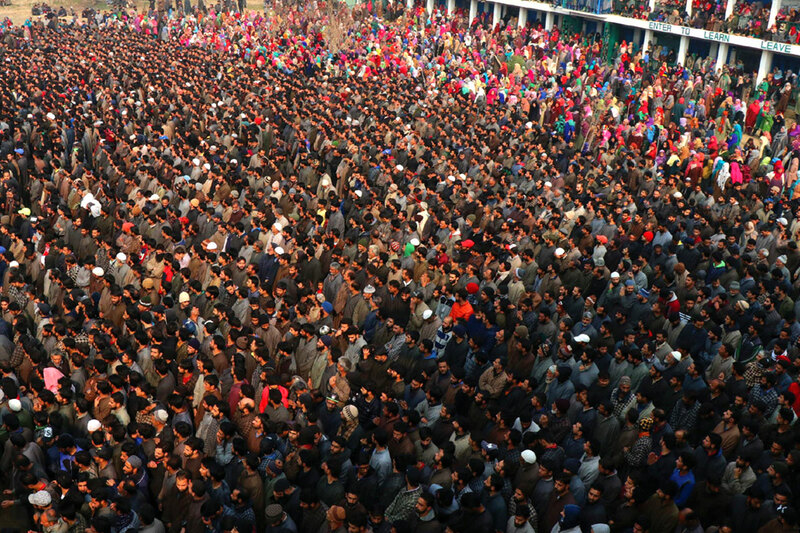 And finally when Abu Qasim’s body was handed over for burial by the police with reluctance, around thirty thousand mourners followed it to Bugam, from main Kulgam Chowk, waving green flags, something rare then. In last three decades of conflict Bugam, a village of 1200 souls had seen just nine local militants. While six were killed over the years in gun-battles with government forces, three are still untraceable. Once a communist bastion, Bugam’s transformation took place during 2014 assembly elections. They didn’t vote at all. But it was not Bugam only that was undergoing a silent transformation in south Kashmir. There were many such small villages where anger against atrocities was reaching its peak. The huge gathering of mourners, especially young boys between 15 and 25, made militant funerals a sort of political statement. 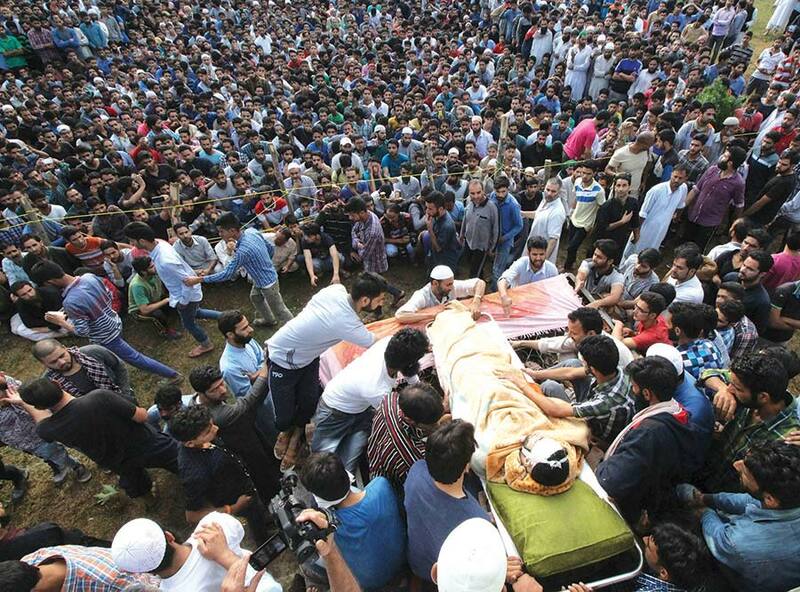 But after Abu Qasim’s massive funeral, police decided against handing over foreign militant bodies to locals, and instead bury them in unmarked graves in north Kashmir. However, by then, damage had already been done as participation in Abu Qasim’s funeral helped Lashkar’s new commander Abu Dujana consolidate his position among local masses with ease. Unlike Abu Qasim, his successor Abu Dujana reached out to young blood in Hizb including Burhan Wani, Sabzar Bhat and their close friend Zakir Rashid Bhat aka Zakir Musa. But it was a rare attack by Lashkar in Pampore that helped shape future course of encounters across Kashmir. On the evening of February 20, 2016, a group of three Lashkar militants stormed Entrepreneurship Development Institute (EDI) at Pampore, after attacking a CRPF convoy outside its main gate. In the initial attack, three CRPF men were killed. The ensuing gun-battle raged for next 48 hours leaving three Special Forces personnel from army’s 9 and 10 Para unit dead. What baffled security grid was the fact that while encounter was on, young boys tried to storm towards the building in order to rescue the holed-up militants. When they were pushed back, they sat across the river and started raising slogans in praise of militants fighting inside the EDI building. This was something unprecedented as usually people used to run for their lives whenever a gun-fight started. 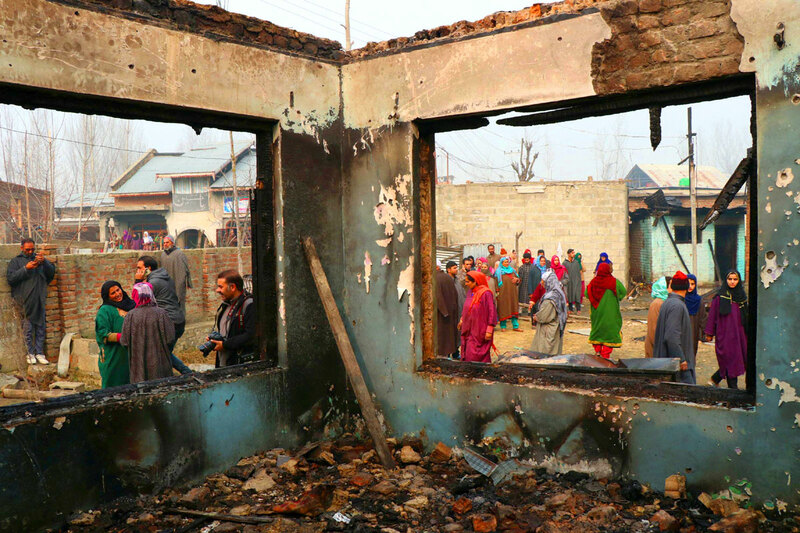 As gunfight stretched on for two day, and army’s effort to raze the building failed, mosques in Pampore and nearby villages began playing songs of secession. These songs and sloganeering was last heard in 1990. This anger helped modern day militancy reconnect with people after a gap of almost two decades. In post Burhan Wani Kashmir, stone-pelting near encounter sites to help militants escape, massive funerals, visiting a slain militant’s house after his killing for solidarity, became new normal. Within no time young and highly educated youngsters like AMU PhD scholar Mannan Wani, Dr Sabzar Ahamd Sofi and Dr Mohammad Raafi joined militant ranks. Though their lifespan was short unlike their predecessors, but they were equally popular. However, with more and more groups trying to reclaim the once lost space, things started to reach their tripping point soon. With more and more youngsters joining militant ranks, the frequency of encounters too increased. In September 2018, for the first time in a decade, the number of militants in Kashmir crossed the 300 mark. This proved the breaking point in ‘new age militancy’ as months following the official announcement Kashmir witnessed massive causalities and bloodshed on both sides. In October alone, 27 militants were killed in different encounters across Kashmir. But it was the massive loss of civilian lives that made October deadly. On October 22, seven civilians were killed in Laroo village of Kulgam, after an unexploded shell went off inside the house where an encounter had taken place earlier that day. In November, there were fifteen encounters in which 33 militants including Naveed Jatt was killed. Before Jatt’s killing, both Hizb and Lashkar lost major faces like Sameer Tiger, Saddam Padder, Mannan Wani, Dr Sabzar Sofi, Umer Ganai and Azad Malik. This pushed militants of both the groups once again back to forests, but in winters. 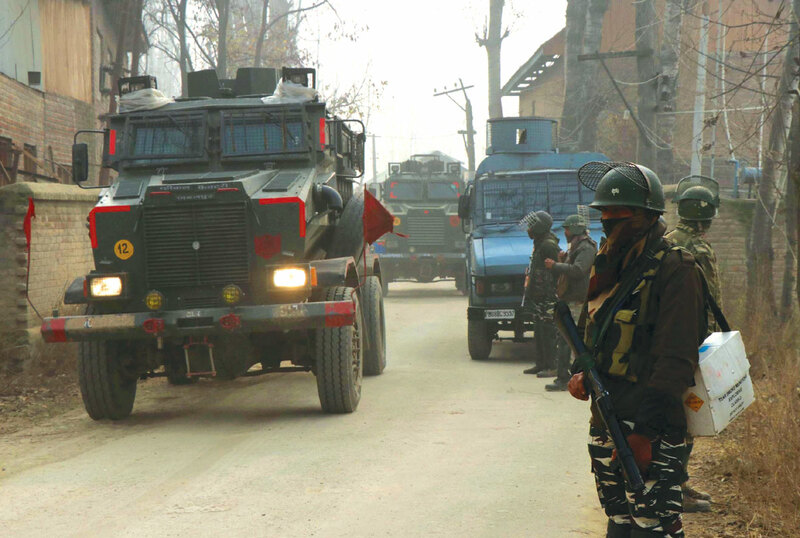 “We had 40 militants in Kulgam early this year,” a senior police officer from the region said. “We are left with 20 now and most of them operate out of the district.” The officer said that the security situation “improved” because they could maintain the pressure on “recruiters and the stone pelters” while dealing with the rebels. The district witnessed almost 500 arrests in last one year of whom almost 120 are stil behind bars. “We attempted getting some rebels back, two in recent past and we will continue making these efforts,” the officer said. According to official statistics 227 militants were killed in 2018 so far. The data reveals that most of the slain militants belonged to the Lashkar-e-Toiba (LeT). However, as the major part of encounters happened in the south Kashmir, 137 militants were killed in the area this year. In north Kashmir the number of killed militants was 45. The data also reveals that 50 militants were arrested while five militants surrendered before the forces in 2018. With winter predicted to be harsh and cold, passes at the LoC closed for almost five months, the ongoing bloodshed is pushing Kashmir into a new cycle of unpredictability and chaos. Counter-insurgency grid, now operating under governor Satya Pal Malik has a task at hand: softening the ground for the election. There may not be deadlines but it is approaching fast.